Soak the dates in warm water until softened, about 30 minutes. Drain and put in a food processor with the walnuts, cinnamon and salt. Pulse until the mixture begins to come together, scraping down the bowl every once in a while. Divide the dough among 4 mini tart pans, pressing the mixture firmly into the pans to form a crust. Spread one tablespoon of the caramel in the bottom of each crust using a small spoon or spatula. Chill in the refrigerator until ready to eat. 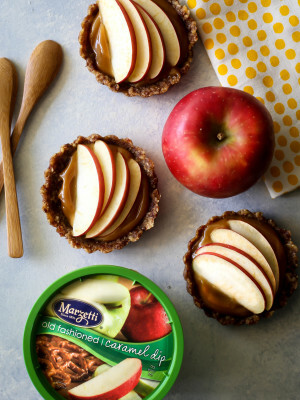 When ready to serve the tarts, cut the apples into thin slices and toss with the lemon juice in a large bowl. 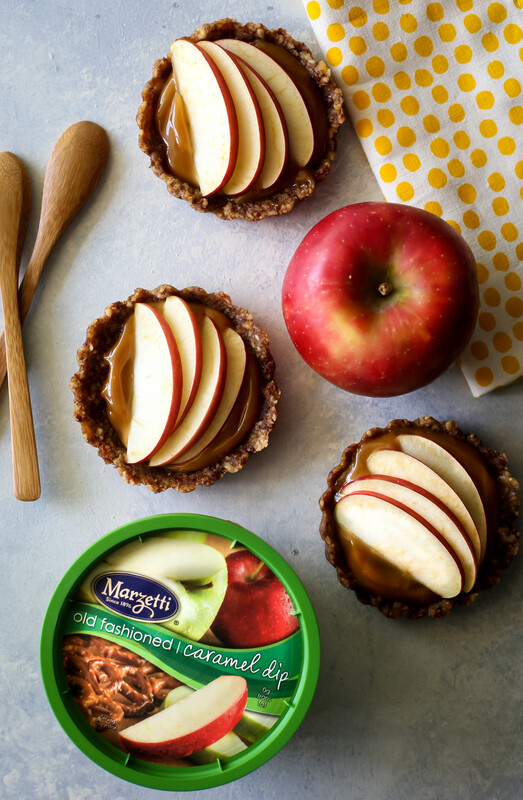 Arrange the apples on top of the caramel and serve!